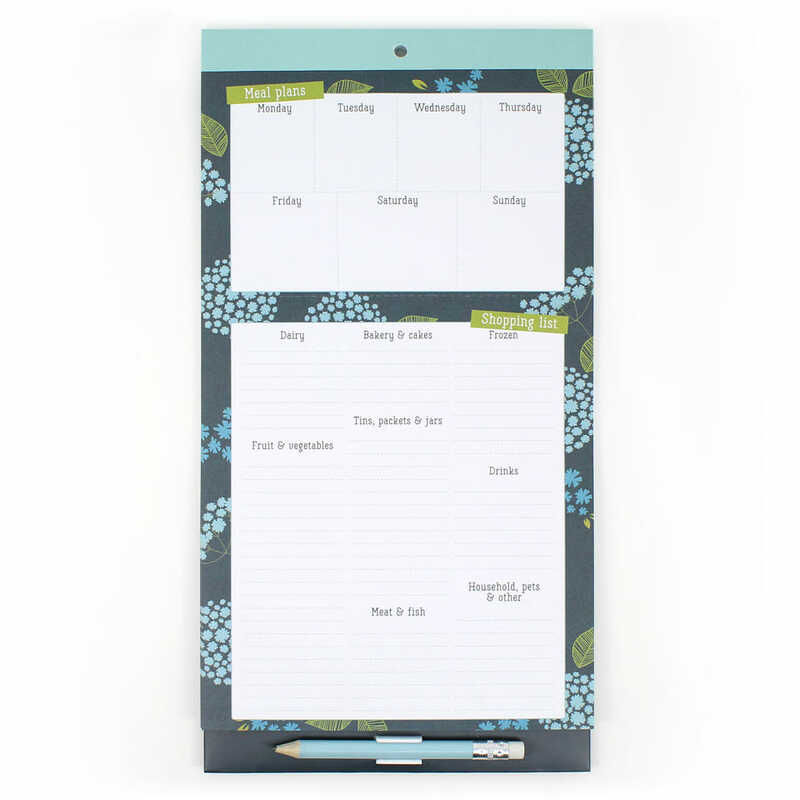 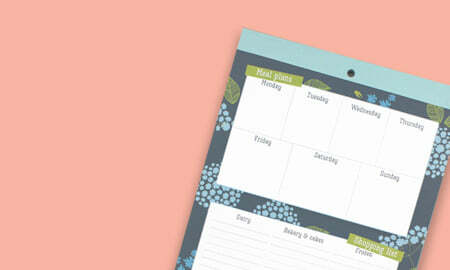 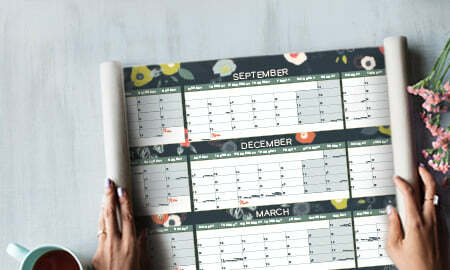 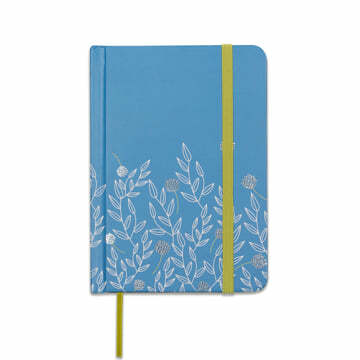 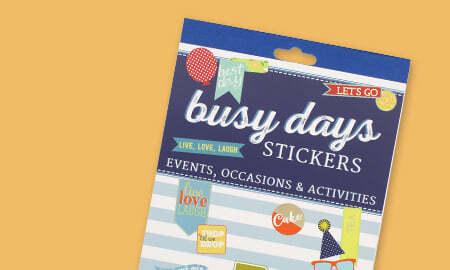 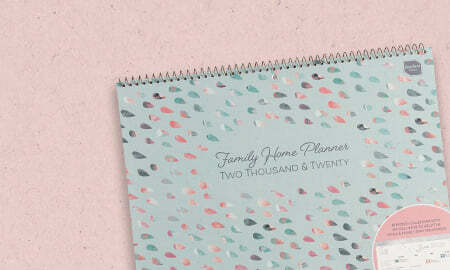 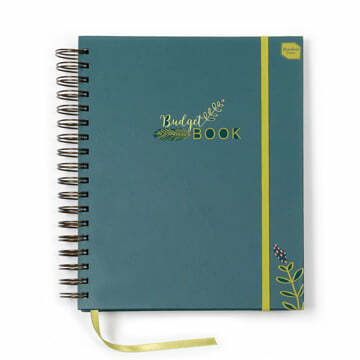 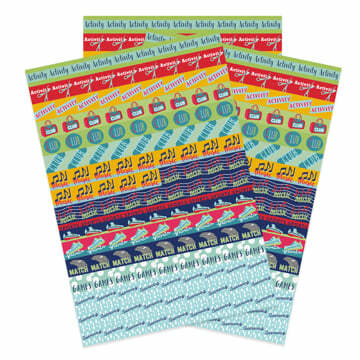 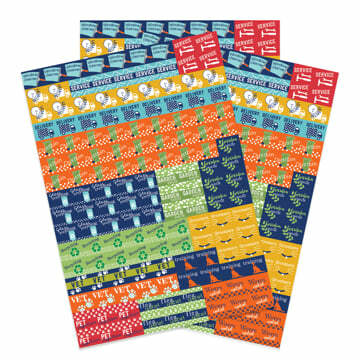 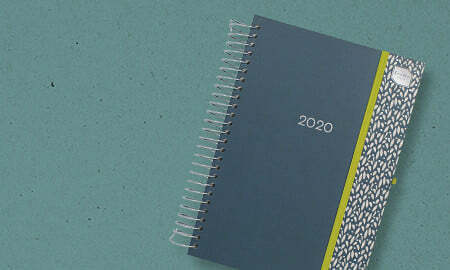 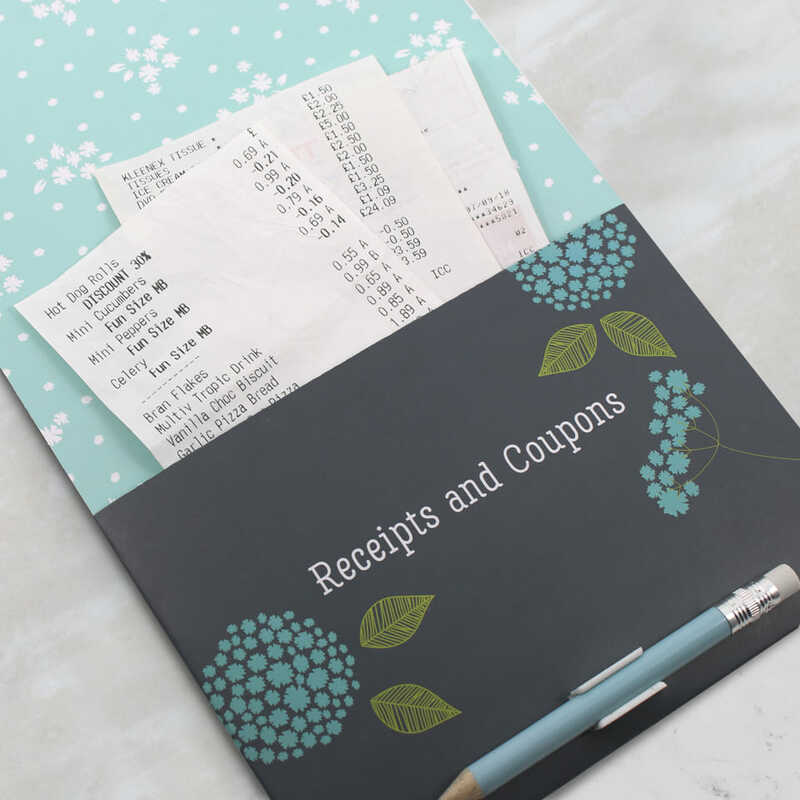 This popular notepad features two perforated lists on each page - one for weekly menu plans and one for shopping lists. 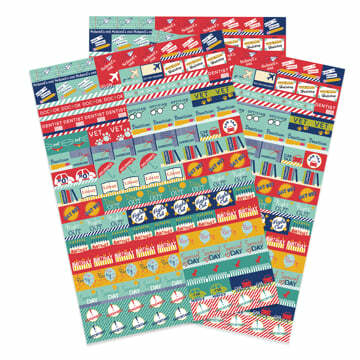 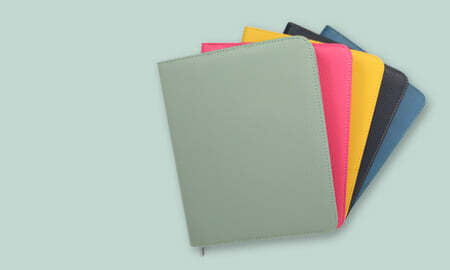 It also has a useful pocket at the back for storing receipts and vouchers and comes with a clip-on pencil. 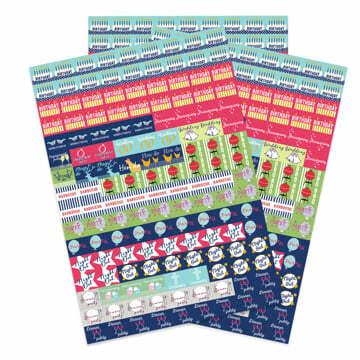 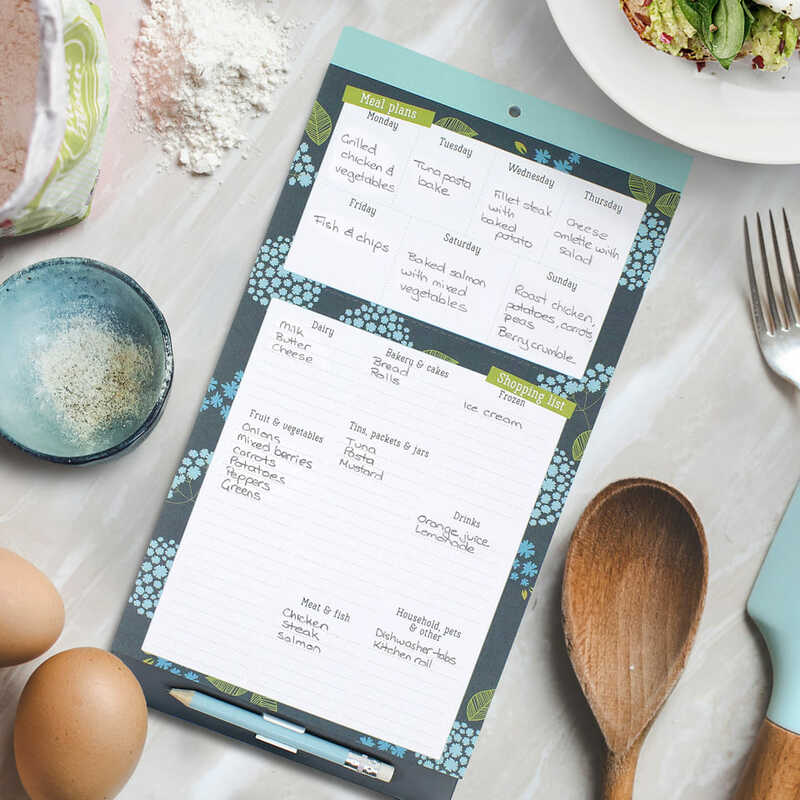 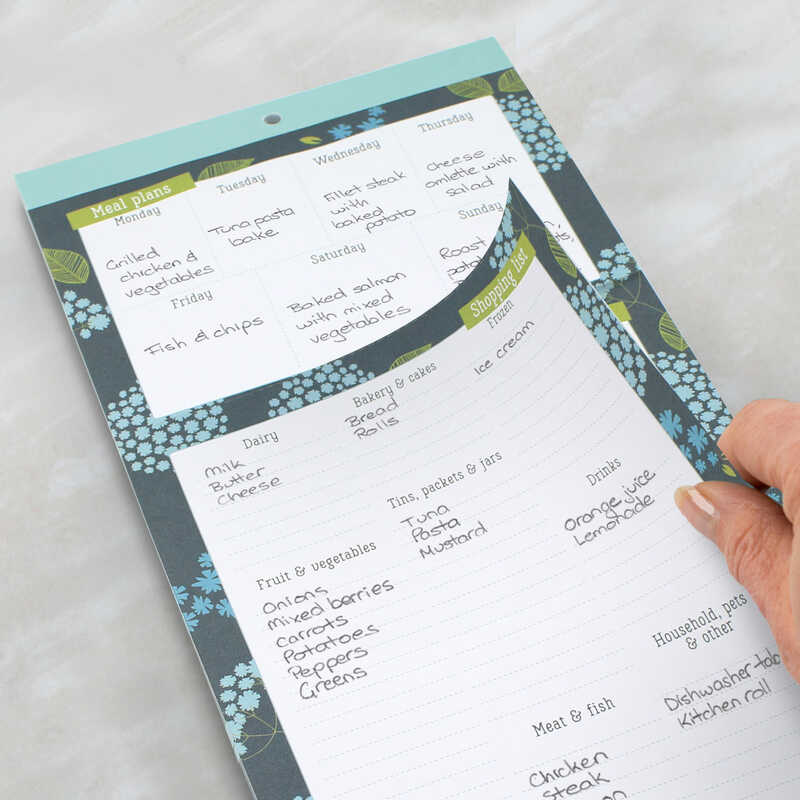 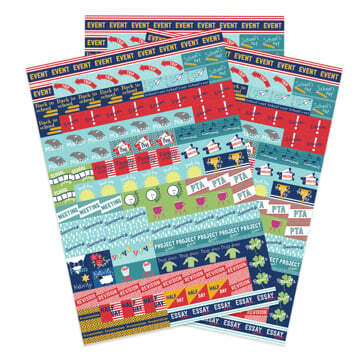 Back with a pretty new design, the Menu & Shopping List is a handy magnetic notepad designed to help you plan out your family's meals and keep tabs on all the groceries you need from the shops. 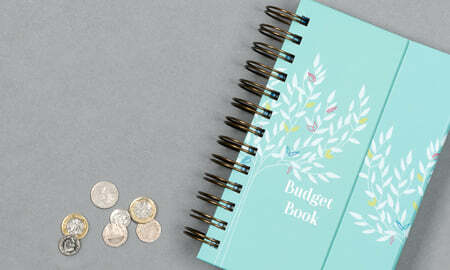 Designed with a handy pocket at the back for storing receipts and vouchers and a pencil with eraser that clips on so you'll always have something to write with close to hand. 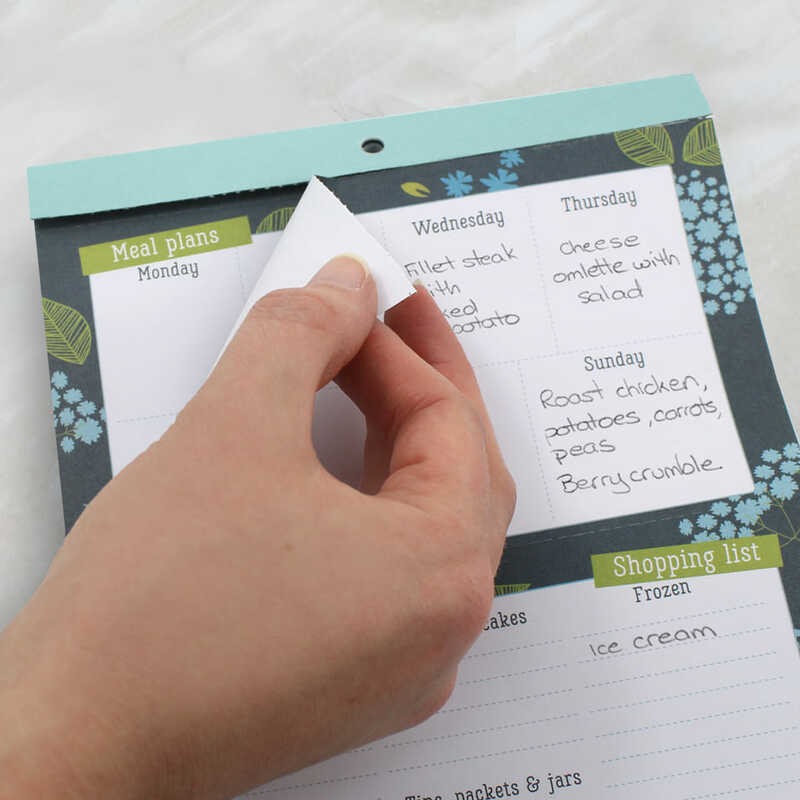 Each list is perforated and we've moved the shopping list so that it sits under your meals for the week so that it is even easier to detach and take to the shops while your menu plans stay on the fridge. 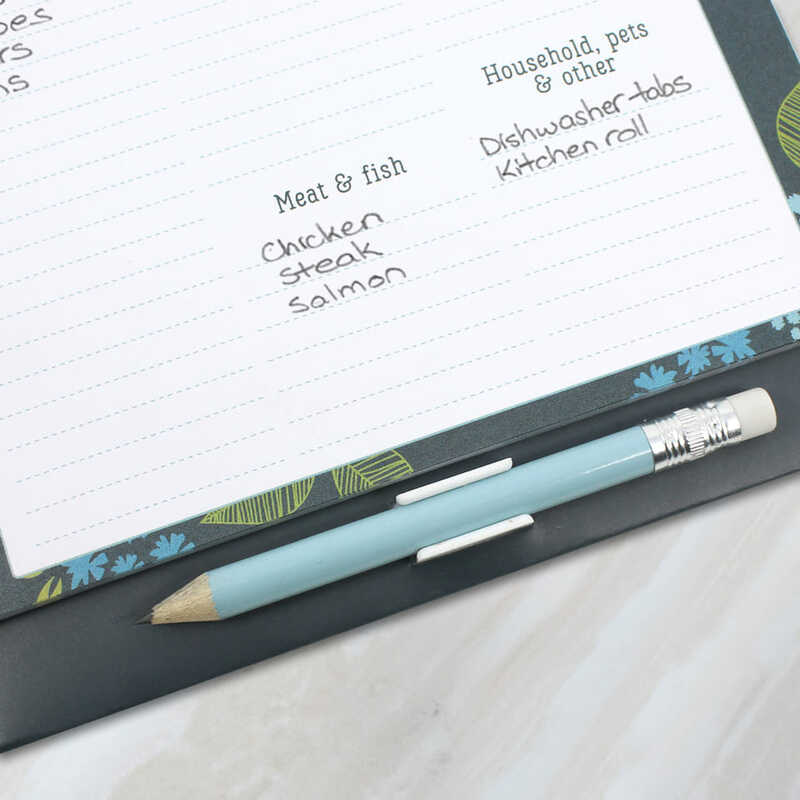 The shopping list gives plenty of space for you to note down all your groceries and has handy headers such as 'dairy' and 'tins & packets' to make shopping trips a breeze! 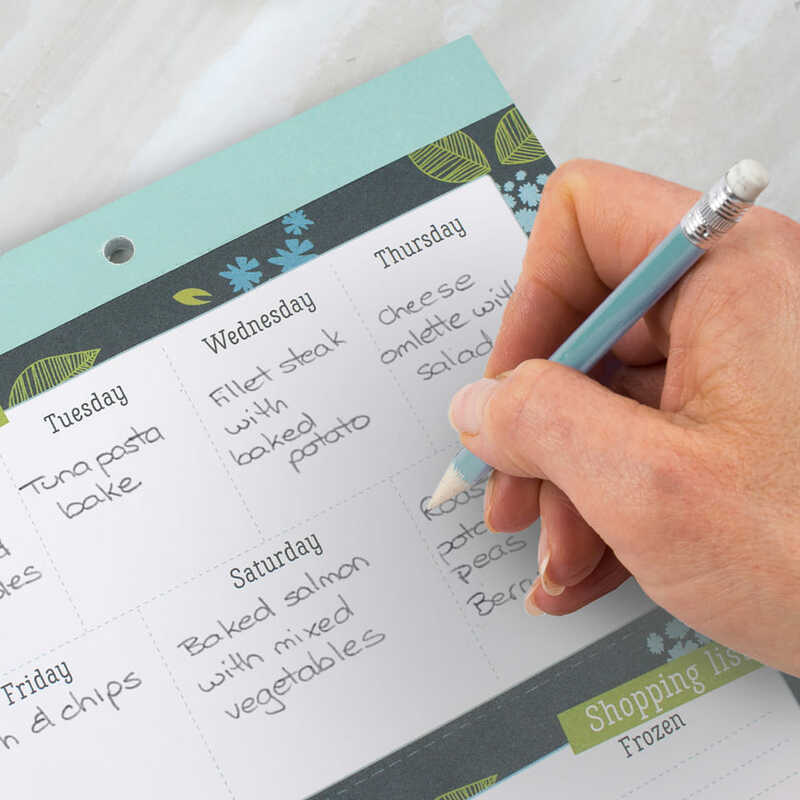 This is a great tool if you are managing a household budget - planning meals helps to reduce food wastage, and writing a list avoids unnecessary trips to the store! 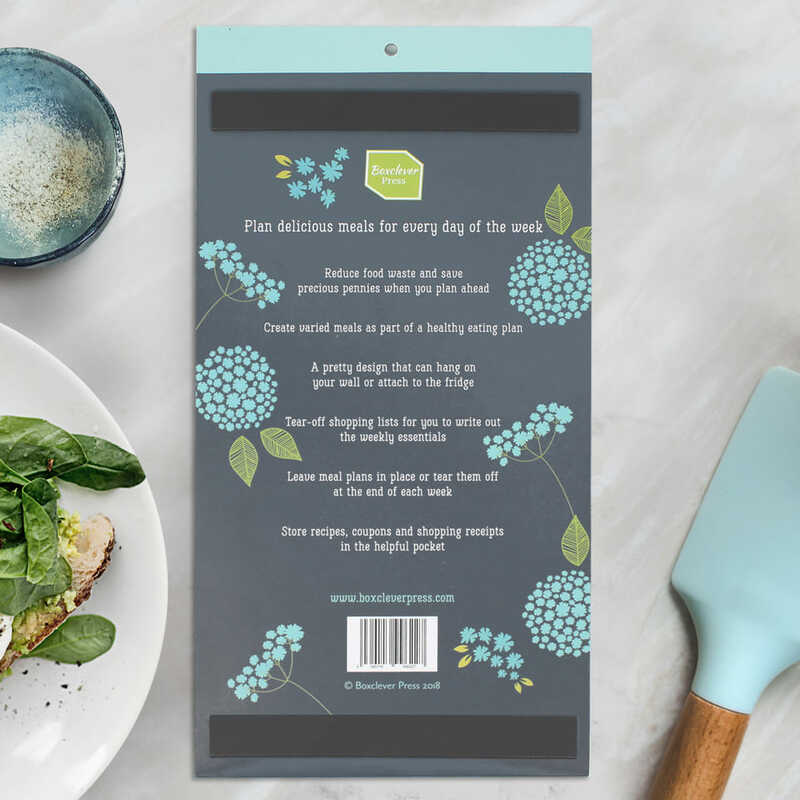 Designed to be kept close to hand in the kitchen, the notepad comes with a magnetic backing to stick it to your fridge or freezer or a hanging hole to put it on the wall. 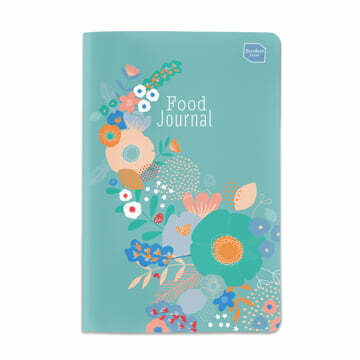 A great little pad with a fun and colourful design that makes an attractive and practical addition to any kitchen.